WISMEC has won me over. After several years of avoiding the company’s RX line of 3- and 4-battery mods because of looks, size and sheer excess, WISMEC finally made a mod that even the biggest skeptics can appreciate – the WISMEC Reuleaux RX Gen3. And to seal the deal even further, they threw in a sweet little tank to go with it. This kit caught me by surprise, and has rapidly become a go-to device for me at home, on the road, and seemingly everywhere in between. Let’s see why. 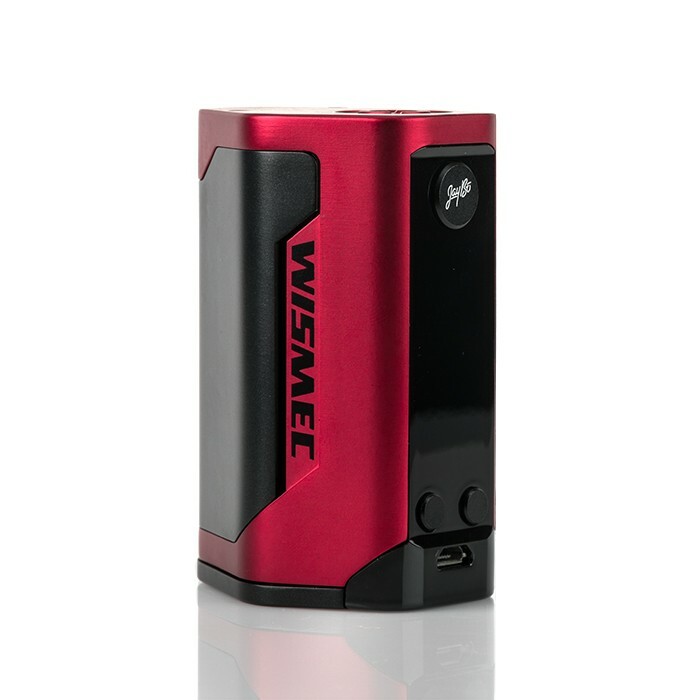 At first glance, the WISMEC Reuleaux RX Gen3 looks like “just another” WISMEC mod, right down to the triangular wedge shape, the JayBo branding, and the Tron-era graphics that adorn the box. 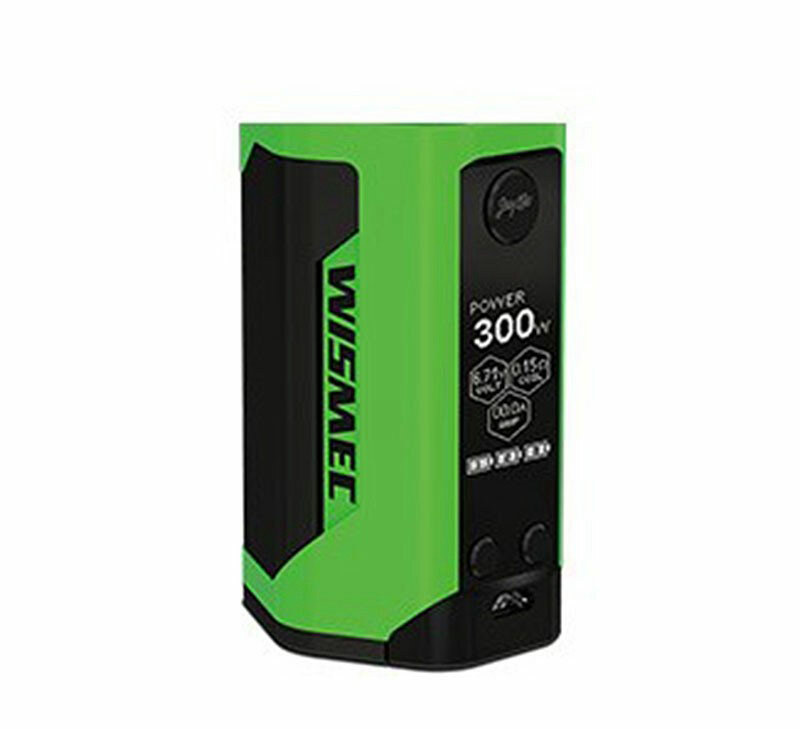 It’s a design concept that WISMEC has employed for a while, with only the recent RX300 QUAD-battery box straying from the path. Thankfully, that’s where the similarities end, because opening the packaging reveals much more thoughtfulness and smart design. The size will be a bone of contention for WISMECfans looking for another similarly styled RX mod. But I doubt these people will have a problem with the rest of the kit, which includes a Gnome sub-ohm tank, spare glass, extra coil, USB cable, 510 drip tip and adapter, and the usual assortment of warranty and warning cards.Opening the box, users will see that the ReuleauxRX Gen3 is NOTICEABLY smaller and more compact than its big brothers, yet still claims to hit a legitimate 300-watt output using just three 18650 cells. Our brown/black test model looked entirely more streamlined than previous Wismec offerings, and felt great in the hand – weighty, but not heavy – upon removing it from the foam insert. A special top of the cap to WISMEC for one of the best, most thorough set of manuals seen on a Chinese product. Both the device and Gnome instructions are well-translated and easy to understand – hardly a given in today’s vape marketplace. The only black mark is the translation error that indicated the RX Gen3came with three 18650 cells – I had to look in the box twice to make sure my kit wasn’t pilfered during shipment. In the hands, the Reuleaux RX Gen3 just feels right. 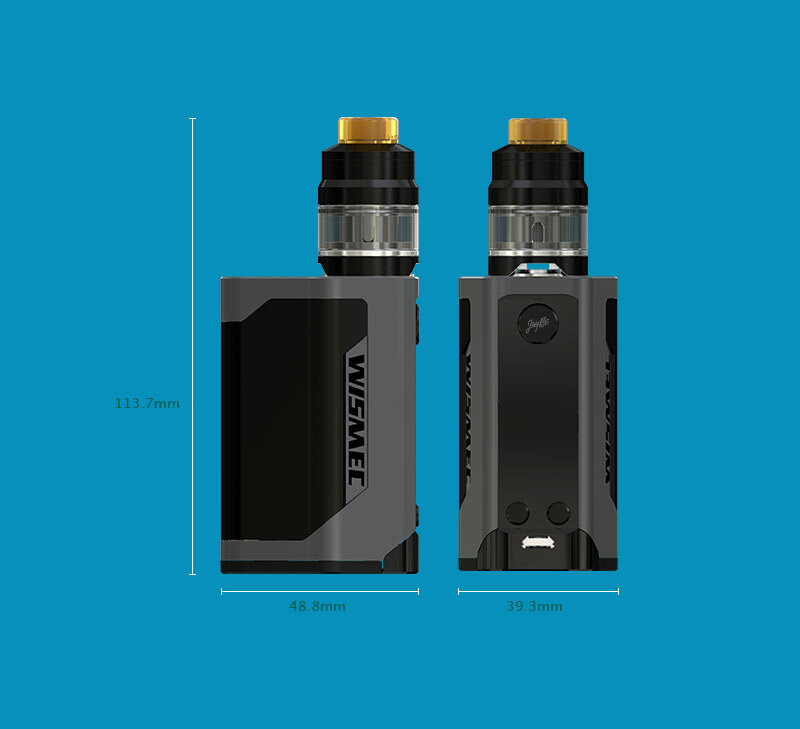 Not just for the obvious size difference, but also because WISMEC made a smart move by moving the battery door to the bottom of the device, instead of the oddly flimsy back door design that left noticeable gaps on previous editions. Even the failed RX 2/3 adjustable format did little to rectify the unfinished feel of the mod. The RX Gen3, on the other hand, feels solid, complete, and altogether more confident. Once the batteries are installed, the bright 1.3-inch OLED display employs an attractive, easy to read series of hexagons indicating wattage/voltage, temperature, coil resistance, puff counter and duration, battery charge levels and more. Three easy clicks bring you to the mode menu, where you can quickly jump between wattage and a full slate of temperature controls options, including nickel, titanium, stainless steel, three TCR modes, and resistance lock. Despite its 300-watt capability, the Reuleaux RX Gen3 is by no means unsafe. 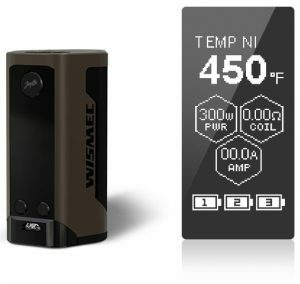 Wismec smartly included a range of protection features that are clearly displayed on the screen when needed, eliminating any confusion about causes of failure. Instead, the large screen indicates atomizer low, short, temperature alerts, 10-second cutoff, weak or imbalanced batteries, USB connectivity problems, charging errors and even battery installation problems. This is a powerful mod, and having these protections in place – in an easy-to-understand manner – are key for safe vaping. How does the Reuleaux RX Gen3 Perform? Let’s get the obvious question out of the way first – can the WISMEC Reuleaux RX Gen3 TRULY hit 300 watts using just three 18650 cells? Yes, my friends, yes it can. Not for long, mind you. But for everyday vapers looking to fly a little closer to the sun, yes, the RX Gen3 is a great cloud chucker. Obviously, with only three batteries under the hood, anything north of 200 watts is going to drain power quickly and inefficiently. But using a build just a hair higher of the Gen3’s 0.05-ohm bottom limit, I managed to successfully and comfortably puff at 300 watts for longer than expected. The device got warm, but never too hot, and the vapor production was nothing short of massive. That said, I don’t feel this is the best use of the device. I believe the 300-watt headroom is nice, but when using the RX Gen 3 at a more reasonable 70-100 watts, it really began to sing – with and without its included Gnome sub-ohm tank. At these levels, I experienced fantastic flavor and vapor using a variety of tanks and drippers – all of which sat flush, and performed admirably on the Reuleaux RX Gen3. The battery life is also an item worth noting. When used with the Gnome tank at 70-90 watts, I got nearly nine (!) hours of steady vaping before the cells began to skip a beat. The RX Gen 3 utilizes a proprietary battery balancing system to ensure the device never falters, even if the cells aren’t draining at equal levels. Though the battery indicators showed some distinct level differences when vaping, by the time I reached the end of testing, they were evenly matched, and still performing when I opted for a recharge. And, using the onboard 2A charging, the cells were full and ready to go in just under three hours (though the device was a little warm afterwards). Moving into temperature control, I very easily switched between coil types and set customer TCR levels through the intuitive on-screen interface. I would have appreciated some form of PC/MAC software to make preheating and temp curves easier, but that’s nitpicking – the onscreen menus do the job admirably without too many finger gymnastics to get in the way. Vaping in temp control was predictably excellent, with accurate, flavorful performance throughout my lineup of test coils. Though I prefer to vape no higher than 425 degrees Fahrenheit, the RX Gen3 never wavered, all the way to the max 600-degree temperature limit. One odd item of note – despite the symmetric, more palm-friendly design, Wismec chose to offset the 510-connection atop the RX Gen 3. Now, I won’t claim to know how these devices are made, and the device certainly packs a lot of technology into a small space. But moving the connector to the center position would allow for a much wider range of atomizers to sit without overhang. As it stands, any tank or RDA wider than 25mm will jut out slightly. It’s not a deal-breaker, and doesn’t affect performance, but I would have loved to see how the Reuleaux RX Gen3handled a 30mm tank. The included WISMEC Gnome sub-ohm tank is a flavor-focused atomizer, with strong Kanthal coils and serious potential. I just wish the damn thing was bigger! With just 2ml of capacity, bottom airflow control, and the ability to chuck vapor with the best of them, the Gnome functions almost like a dripper, since you’ll be refilling e-liquid about as often as you would with an RDA. That said, it’s absolutely amazing while it lasts. Using the pre-installed WM02 dual-coil head, the Gnome produced some of the most flavorful and abundant vapor I’ve had in some time, even at relatively low wattage. I imagine the proximity of the coil to the mouthpiece plays a role in this, but I’ve used RDAs that didn’t produce these results. The WM03 triple coil head is rated for up to 130 watts, but really doesn’t need it. I had no issues at those levels, but enjoyed equally flavorful, thick vapor at 80-90 watts, rendering the higher limit a little excessive. Regardless, I’m currently on day five with the WM02, and it is still operating above and beyond expectations. Though I can’t expect much more from this solitary coil, it’s nice to know the Gnome will endure a wade range of wattages and heavy use before breaking down. I would have loved to see an RBA head included to demonstrate how the Gnomeperformed with temp control coils and higher-wattage scenarios. But there is one available, and I will be purchasing it as soon as it arrives at a shop near me. The WISMEC Reuleaux RX Gen3 is a feature-filled vape device, for a very attractive kit price. With true, proven power under the hood, ergonomic design, and easy to use menus and features, the RX Gen3 is a complete package that will appeal to volume vapers and sub-ohm newcomers alike. Though I’ve avoided purchasing Reuleaux series mods in the past, I’ve always considered them before opting for more pocket-friendly options. Their reputations were excellent, as were the price points. But I ultimately found holding and operating them to be clunky and unwieldy. Wismec has more than rectified this problem here.